Disney’s Animals, Science and Environment team will launch a new Guest experience March 12 at Disney’s Animal Kingdom called "Caring for Giants." Caring for Giants is a new family-friendly, paid-for adventure highlighting Disney's conservation efforts with African elephants in the wild, including the Elephants and Bees project. 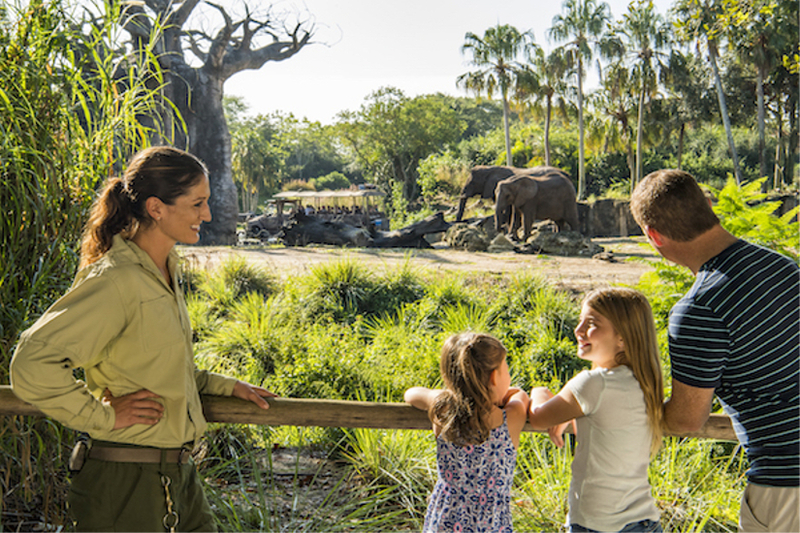 During this 60-minute experience, Guests will see the elephant herd from a newly created viewing area on Kilimanjaro Safaris' savanna and meet with dedicated animal care experts. African Cultural Representatives will be on hand to share stories of Disney’s conservation efforts dedicated to the preservation of wild populations of elephants throughout their homeland of Africa. The check-in location for this experience is the new Curiosity Animal Tours Kiosk, which is located inside Africa, right across from the entrance to Kilimanjaro Safaris and Wild Africa Trek.